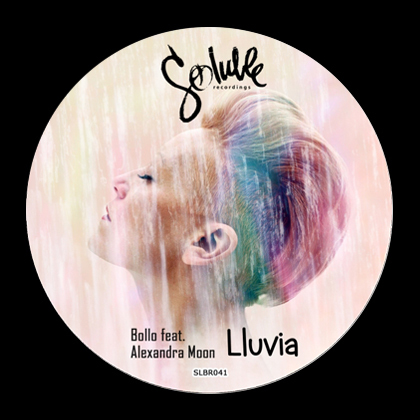 Soluble Recordins label boss Bollo has teamed up with Spanish vocalist Alexandra Moon and the result of their collaboration is a nice deep house tune Lluvia (Rain). Alexandra Moon (Chloe Carrascal) was born in Tarragona (Spain) and has entered the world of art as 14 years old dancer. For 7 years she wandered through different styles of dance, from classical ballet through contemporary dance to ballroom and flamenco, which eventually through constant contact with music led to her need to communicate from inside. From that moment she begins to sing professionally and studies musical instruments, especially the piano.